Robot-assisted radical cystectomy (RARC) has emerged as an equivalent approach to open radical cystectomy (RC) with potentially equivalent oncological outcomes. Whether urinary diversion (UD) during RARC is best completed extracorporeally or intracorporeally remains a debatable topic among clinicians. The UD procedure could constitute a more significant factor associated with postoperative morbidity and complications than the actual cystectomy itself. 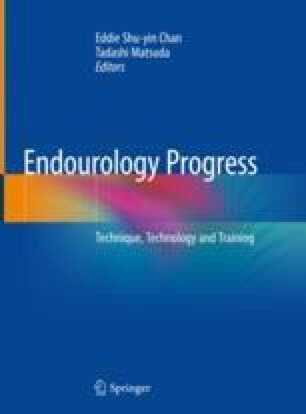 Following the introduction of minimally invasive techniques used to perform a cystectomy, extracorporeal urinary diversion (ECUD) is widely accepted as a more efficient and safe method, and most RARC procedures in the United States are performed through an ECUD. Most case reports describing RARC indicate the use of ECUD owing to perceived difficulties with intracorporeal bowel reconstruction (ICUD) and concerns about time efficiency compared to open surgery. However, a total ICUD approach could be considered a possible alternative to maximize the advantages of minimally invasive surgery. It is known that ICUD minimizes evaporative fluid loss, decreases estimated blood loss, reduces the risk of fluid imbalance, and pain, and rapidly restores bowel function. Despite there are potential perioperative benefits, ICUD has been criticized due to doubts regarding the ability to perform this procedure routinely during surgery and its benefits to patients without further increasing the rate of complications. We adduce a step-wise description of our RARC technique with bilateral PLND and UD that adheres to the established dimensions and configuration of the Studer neobladder.